Charles Ortleb, the former Publisher and Editor-in-Chief of New York Native, debunks the scientific empire that has enriched Anthony Fauci and made him an iconic figure in American science and medicine. Ortleb argues that, like Bernie Madoff', Fauci has built his reputation on fraud and deceit. For at least two decades, Madoff ran a financial Ponzi scheme while Fauci has run a scientific Ponzi scheme for more than three decades. While Bernie Madoff defrauded 4,800 people out of their money, Fauci's HIV Ponzi scheme has undermined the health and civil rights of millions of people all over the world. Ortleb argues that Fauci's AIDS empire should be considered a criminal enterprise and that the AIDS-related HHV-6 epidemic (which includes Chronic Fatigue Syndrome) will only end when Fauci's HIV Ponzi scheme ends. All of Ortleb's books on Chronic Fatigue Syndrome and AIDS can be found here. Read a free book about Anthony Fauci, the Bernie Madoff of AIDS and CFS here. The definitive history of the intertwined epidemics of AIDS and Chronic Fatigue Syndrome. If you want to know the truth about the Chronic Fatigue Syndrome epidemic, you need to discover the reporting of Neenyah Ostrom. And you have to be brave enough to learn about the relationship between the Chronic Fatigue Syndrome epidemic and AIDS. Chronic Fatigue Syndrome is a serious immunological illness that seems to be caused by a very destructive virus. To fully understand the seriousness of the Chronic Fatigue Syndrome epidemic, you need to go back in time. On April 16, 1996, Congressman Jerrold Nadler spoke on the floor of Congress about his request for a General Accounting investigation into how the CDC had handled the Chronic Fatigue Syndrome epidemic. Nadler did that at the urging of Charles Ortleb, the publisher of the New York Native, and his reporter Neenyah Ostrom. Ortleb and Ostrom had made the case to Nadler that Chronic Fatigue Syndrome and the virus it had been linked to, HHV-6, were serious public health issues. In an interview in New York Native with Neenyah Ostrom, Congressman Nadler said, "Congress can mandate research into CFS as a viral disease. Maybe it will turn out that HHV-6A is the cause of CFS; maybe it will turn out that other viruses are involved. But Congress can mandate research into CFS as a contagious, viral disease. I will certainly try to get Congress to do that as soon as possible." Unfortunately, back in 1996, Nadler's warning to Congress and the medical establishment fell on deaf ears. But now that the Democrats have regained power in the House of Representatives, the newly prominent Congressman Nadler may finally be able to bring the CFS epidemic and HHV-6 to the public's attention. This book by Charles Ortleb, which details Neenyah Ostrom's diligent reporting on Chronic Fatigue Syndrome, is necessary reading for anyone who wants to know the whole history of an epidemic which has been hidden in plain sight. For a decade, starting in 1988, Ostrom reported on Chronic Fatigue Syndrome and the damage that the virus HHV-6 does to patients. What her reporting uncovered about the nature of the Chronic Fatigue Syndrome epidemic will shock you. 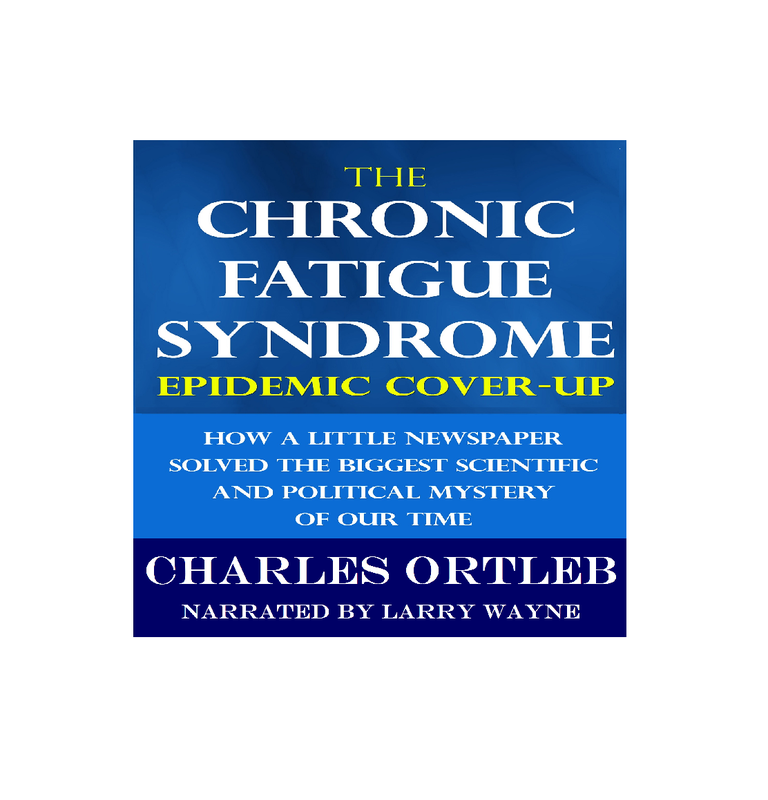 In The Chronic Fatigue Syndrome Epidemic Cover-up, Charles Ortleb recounts his newspaper's fascinating struggle to get the medical and political establishment to pay attention to Ostrom's pioneering investigative reporting on CFS. By the time you finish Ortleb's stunning memoir, you will understand why the CDC has been unwilling to tell the truth about Chronic Fatigue Syndrome. The CDC does not want the public to know that CFS is a transmissible illness linked to a virus that affects every system in the body. They have covered up CFS for so many decades that the neglected virus is totally out of control. Now it is causing a long list of other illnesses and many cancers. The CDC has put us all in danger. Ostrom's decade of reporting on HHV-6 was recently vindicated by this statement from scientists at the University of Wurzburg:"While HHV-6 was long believed to have no negative impact on human health, scientists today increasingly suspect the virus of causing various diseases such as multiple sclerosis or chronic fatigue syndrome. Recent studies even suggest that HHV-6 might play a role in the pathogenesis of several diseases of the central nervous system such as schizophrenia, bipolar disorder, depression or Alzheimer's." 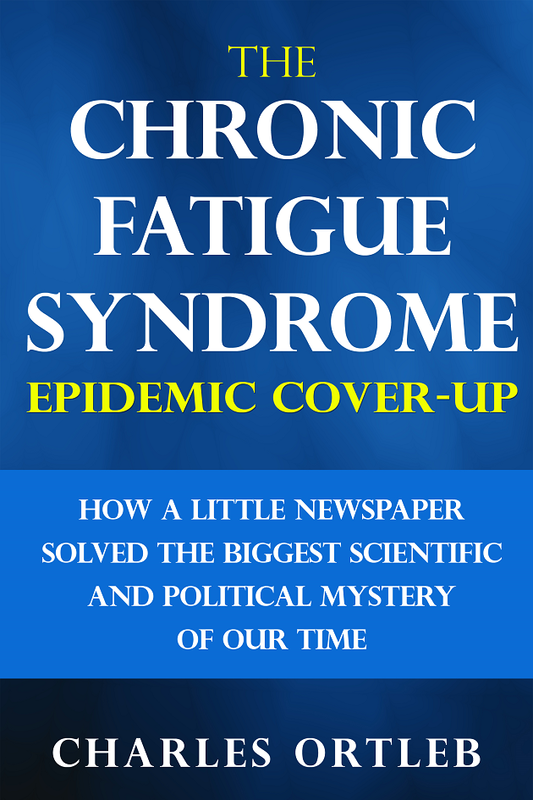 Anyone who wants to help Congressman Nadler and the other members of Congress who are trying to end the suffering of millions of people with Chronic Fatigue Syndrome, needs to read The Chronic Fatigue Syndrome Epidemic Cover-up. A 2-hour audio book that brings the racial and sexual politics of the Chronic Fatigue Syndrome epidemic out of the closet. This bold, uncompromising book is the Uncle Tom's Cabin of the AIDS and chronic fatigue syndrome epidemics. It's one of those books that will inspire you to think outside of the box. Destined to be a controversial independent film, The Closing Argument is a provocative courtroom novella about an African-American man who is tried in Connecticut for the crime of infecting a woman with HIV, the virus that the American government has declared the official cause of AIDS. In a move that shocks the nation, his attorney puts the government and the AIDS establishment on trial and tries to convince the jury that everything the public has been told about the nature of the AIDS and CFS epidemics is both racist and homophobic. The author makes you the jury and you have to decide from the attorney's closing argument if you can believe anything you've been told about AIDS, chronic fatigue syndrome, HIV and HHV-6. This is the first work of fiction in history to focus on the cover-up of the devastating virus HHV-6 which has now been linked to many diseases in addition to AIDS and chronic fatigue syndrome. Nicholas Regush, former producer at ABC News called the book "Eye-popping reading if you dare to expand your scope of thinking about AIDS and justice." From 1980 until 1997, Charles Ortleb was the publisher and editor-in-chief of New York Native which Wikipedia describes as "the only gay paper in New York during the early part of the AIDS epidemic" which "pioneered reporting on the AIDS epidemic when others ignored it." On May 18, 1981, New York Native published the world's very first report on the disease that would become known as AIDS. In his book, And the Band Played On, Randy Shilts described the New York Native coverage of the epidemic as being "singularly thorough" and "voluminous." In Rolling Stone, David Black said that New York Native deserved a Pulitzer prize for its AIDS coverage. In an interview in New York Press, Nicholas Regush, a producer for ABC News and a reporter for Montreal Gazette, said that New York Native did "an astounding job" in its coverage of AIDS and credited it with "educating him early on." In a profile titled "The Outsider" in Rolling Stone in 1988, Katie Leishman wrote that "It is undeniable that many major AIDS stories were Ortleb's months and sometimes years before mainstream journalists took them up. Behind the scenes he exercises an enormous unacknowledged influence on the coverage of the medical story of the century." In addition to pioneering the coverage of AIDS, New York Native was the only publication in the world to have a reporter, Neenyah Ostrom, who provided weekly coverage of the emergence of the epidemic of chronic fatigue syndrome and its scientific and political relationship to AIDS. Hillary Johnson, in her groundbreaking history of chronic fatigue syndrome, Osler's Web, wrote that "Ortleb, in fact, increasingly suspected the AIDS outbreak was merely a modest subset of the more pervasive, immune-damaging epidemic disease claiming heterosexuals--chronic fatigue syndrome." The breaking news about chronic fatigue syndrome and HHV-6 these days seems to suggest that much of New York Native's controversial take on the relationship between AIDS, chronic fatigue syndrome and HHV-6 is being vindicated. of fiction that Charles Ortleb has ever written. The lengthy short story is a work of alternative history that imagines what would have happened if the gay movement in had been destroyed in its infancy. What if the Stonewall riots had resulted in a bloody suppression of gay people all over America? What would society be like now? Would there have been an AIDS epidemic? "The Stonewall Massacre" is told from the perspective of a waiter who witnesses the destruction of the gay community in 1969 in Greenwich Village. In this thought experiment, the Stonewall Riots fail and lead to a massive backlash against the gay community. He watches in horror as an antigay backlash takes place all over America. What happens to the gay community in this story resembles what is happening to gays across the globe these days. This witty and visionary story jumps ahead to the outbreak of the Chronic Fatigue Syndrome epidemic. Because there is no visible gay community and no visible gay AIDS epidemic, Chronic Fatigue Syndrome is recognized as the real AIDS epidemic. Without a gay community to scapegoat, the women who are first victims of Chronic Fatigue Syndrome find themselves being treated as AIDS pariahs. Written by one of the most uncompromising American journalists and the author of "The Chronic Fatigue Syndrome Epidemic Cover-up," this story raises uncomfortable questions that have the potential to change the course of history. This story is also a kind of coming out of the virus HHV-6, a virus which Ortleb has called "The Fifty Shades of AIDS virus," because it has been linked with many diseases that seem to be connected to the AIDS epidemic. For decades, Charles Ortleb has been criticized and mocked for focusing his journalism on HHV-6. But that is now changing. Ortleb's reporting on HHV-6's role in multiple diseases was recently vindicated by this statement from the University of Wurzburg: "While HHV-6 was long believed to have no negative impact on human health, scientists today increasingly suspect the virus of causing various diseases such as multiple sclerosis or chronic fatigue syndrome. Recent studies even suggest that HHV-6 might play a role in the pathogenesis of several diseases of the central nervous system such as schizophrenia, bipolar disorder, depression or Alzheimer's." By the time you finish this provocative story, you'll want to read all of Charles Ortleb's historically important work on the Chronic Fatigue Syndrome and HHV-6 epidemics. Available at Audible in the U.S.A. here. Available at Audible in the U.K. here. Available at Audible in France here. Available at Audible in Germany here. Charles Ortleb, the publisher of New York Native and author of The Chronic Fatigue Syndrome Epidemic Cover-up, interviews Hillary Johnson, the first journalist to cover the Chronic Fatigue Syndrome epidemic in Rolling Stone. She is also the author of Osler's Web: Inside the Labyrinth of the Chronic Fatigue Syndrome Epidemic. Visit her website Oslersweb.com for all her latest reporting. All of Charles Ortleb's books about HHV-6, Chronic Fatigue Syndrome, AIDS and the politics of science can be found at CharlesOrtleb.com. Charles Ortleb, the author of The African Swine Fever Novel and The Chronic Fatigue Syndrome Epidemic Cover-up, discusses research and reports that link African Swine Fever to illnesses in humans and pets. 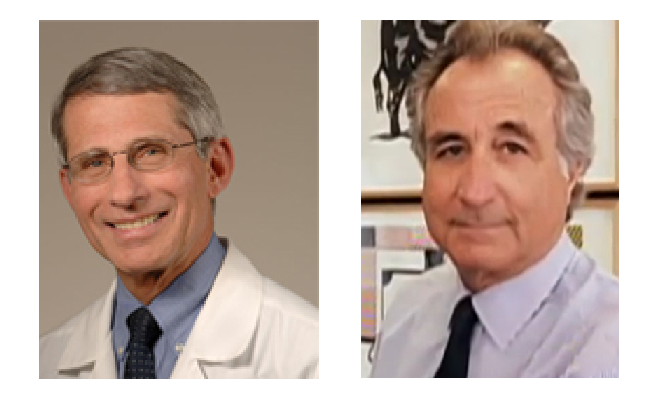 Did Robert Gallo steal the African Swine Fever discovery by John Beldekas as give ASFV the new name of "HHV-6"? Has African Swine Fever been infecting people all over the world for decades and will it be a public health problem in China and Western Europe? Is it already an unrecognized problem in the United States? Charles Ortleb discusses Senator Ed Markey's resolution recognizing Chronic Fatigue Syndrome as a serious medical issue. Ortleb also discusses his newspaper's coverage of Congressman Jerry Nadler's attempts to get public health officials to take the matter seriously. Ortleb and his newspaper spent considerable time trying to get Nadler involved.